Every individual has in-depth potential to explore his/her inner persona but some mental domains like fears, phobia, conflicts, excessive egotism etc. keep this characteristic feature hidden. Yogic philosophy and approach has the ability to attain higher levels of consciousness and may be an effective modality for personality development. The efficacy of yoga towards this has also proved. The different components of Yoga help differently in the overall growth and personality development of a person. Yogasanas help to bring flexibility, relaxation, toning and balance. Pranayama restores harmony and Dhyana facilitate channelization of thoughts. Bhakti yoga facilitates the mental and emotional development. Yoga and its various aspects enable intellect, intuition, wisdom, higher knowledge, and other multiple positive effects on the personality. Physical development means the growth of the body with abnormality and ailments. The external factors like diet, exercise and environment also play an important role for physical growth. Yoga can play an important role in wellness of the body. By contending stress, the yogic practices vitalize the organs and stimulate the body energy. A balance body and mind can be achieved by practicing asanas. As far as physical development is concerned, one has to be fit and healthy by practicing different types of Kriyas, Asanas, Pranayamas, etc. Some of the important Yoga that is beneficial for physical development is Tadasana, Trikonasana, Setubandha asana, Dhanurasana, Bhujangasana, Padmasana, Vajrasana, Naukasana, Shalabhasana, Kapalbhati and Pranayamas. Mental development is a perennial process that continues throughout the life. The changes in cognitive process like attention, memory, thinking, reasoning and problem solving may be observed. Intelligence, development of language and concept formation are the finer aspects for mental development. Yogic Practices like Surya Namaskar, Tratak and Pranayama enable the pineal gland for smooth functioning of learning, retaining for information and memory. Practicing of these pose help to improve memory and other cognitive aspects significantly. Sukshma Vyayamas like Buddhi Tatha Dhristi-Shakti-Vikasaka (Developing the Mind and Will Power), Smarana Shakti Vikasaka and Medha-Shakti- Vikasaka (Developing the Intellect) are also beneficial for the mental development of the body. Man is an emotional entity. Emotion, being an integral part of the individual is an essential requirement for a balanced personality. The control and management of emotion are the important indicators for emotional development and balanced personality. Development of positive emotions and diversion of negative emotions can bring desirable growth in the personality. Stretching exercise (Tadasana, Parsavkonasana, Warrior pose, Stick asana), relaxation techniques and pranayamas have been found to bring significant positive changes in the emotional states of anxiety, stress, depression, guilt and arousal. Social development means the growth and development of attitudes and behaviors. Behavioral socialization is also the part of it. Yogic practices like Yama, Niyama, Dhyana, etc. are important parts for social development. Even in the developed countries like USA, it has been observed that crime graph reduced after practicing the above yoga. Spiritual Development means self-awareness, contentment, self-acceptance, self regards, self-actualization, etc. Spiritual development takes place in the form of habits, values and ethics. Dhyana is just like a panacea and powerful tool for spiritual growth and development. 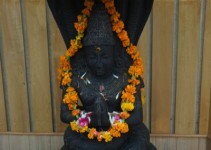 Practicing of Yama, Niyama and Meditation are beneficial for spiritual growth. Self enhancement can also be done through Ashtanga Yoga. 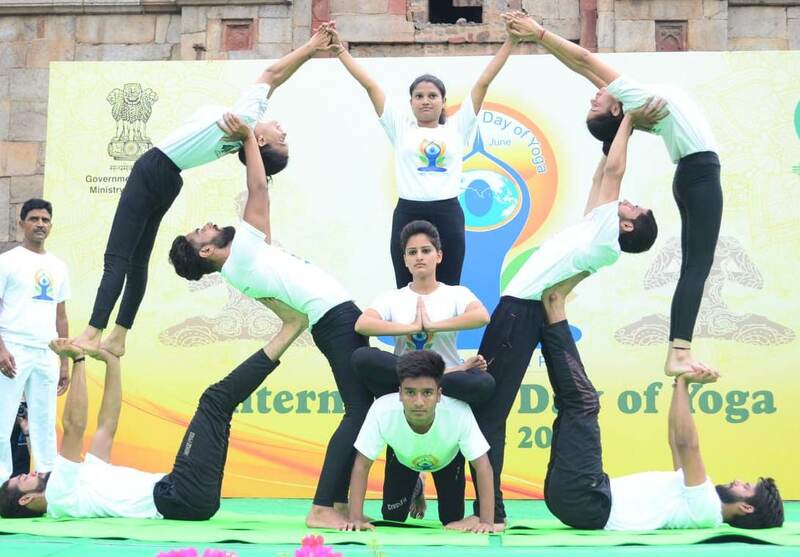 Thus, incorporating Yoga in everyone’s daily routine can unleash holistic and integrated personality.